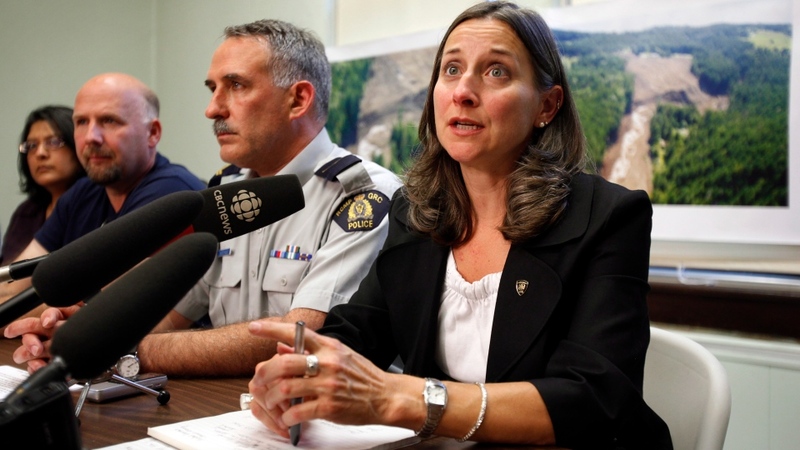 The search for four people missing after a landslide in southeastern British Columbia has turned into a recovery operation, after crews found remains late Sunday. 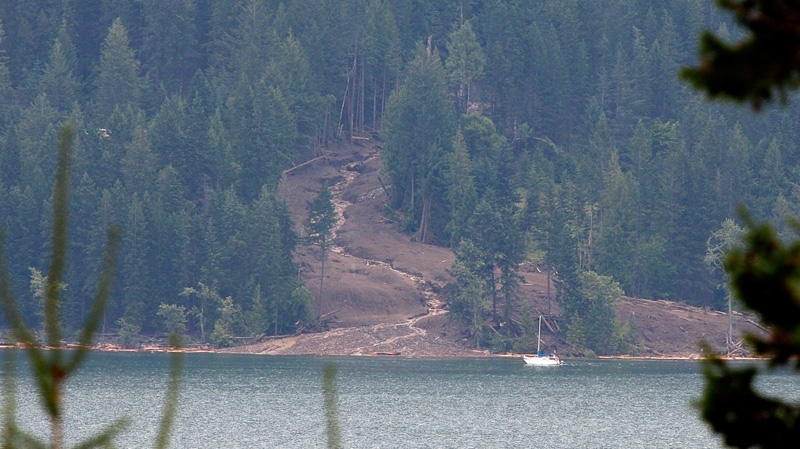 CTV British Columbia’s Kent Molgat reported that crews found remains at the search site in Johnson’s Landing, where a landslide destroyed three homes last Thursday. The tiny town sits on the shores of Kootenay Lake, approximately 70 kilometres north of Nelson. 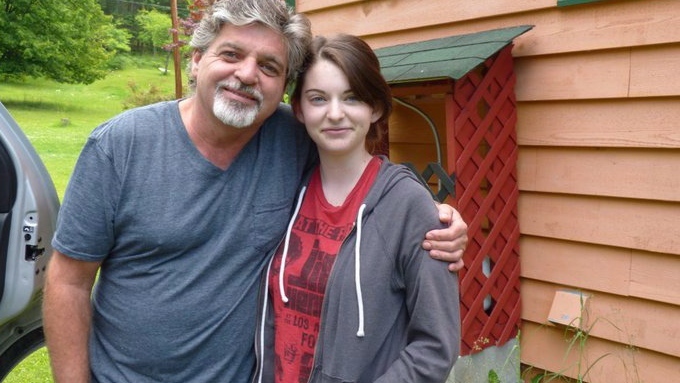 Searchers were looking for four people who remained unaccounted for after the slide: Val Webber and his two daughters Rachel, 17, and Diana, 22, as well as a German tourist. Search crews had returned to the scene Sunday morning and focused their search around the foundation of the Webber home, which had been swept away in the slide. Personnel used heavy equipment to sift through the debris, while crews conducted a grid search around the site. Molgat said earlier Sunday that experts were on the scene, watching the search grid from above for any signs that the area has become unsafe for crews. Rain impeded search efforts on Friday and early Saturday before crews were able to gain access to the site Saturday afternoon. They worked alongside dog teams until dusk. 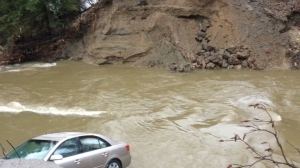 On Saturday, an email surfaced that suggested local residents were concerned about erratic water levels on nearby Gar Creek, hours before the slide. The email, obtained by CTV British Columbia, was written by an area resident and circulated among the community. The email was sent Thursday at 4:56 a.m. local time to a number of local residents, including a retired government employee. That person forwarded the email to a current staffer, a research hydrologist, at 8:47 a.m. 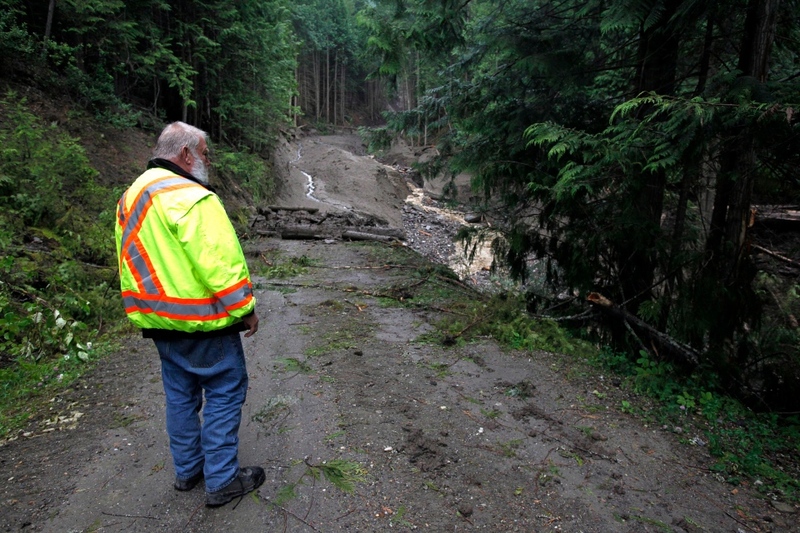 However, he read the message and passed it on to emergency responders at 11:30 a.m., a half hour after the slide. A Ministry of Forests spokesperson told CTV British Columbia on Saturday that had the message made it to the department earlier, officials would have looked into the reports about Gar Creek water levels. “As soon as we would have found out that such odd activities were occurring at the creek with mud and debris coming down, we would have certainly gone up the mountain as soon as possible in a helicopter,” said Jeremy Zandbergen. 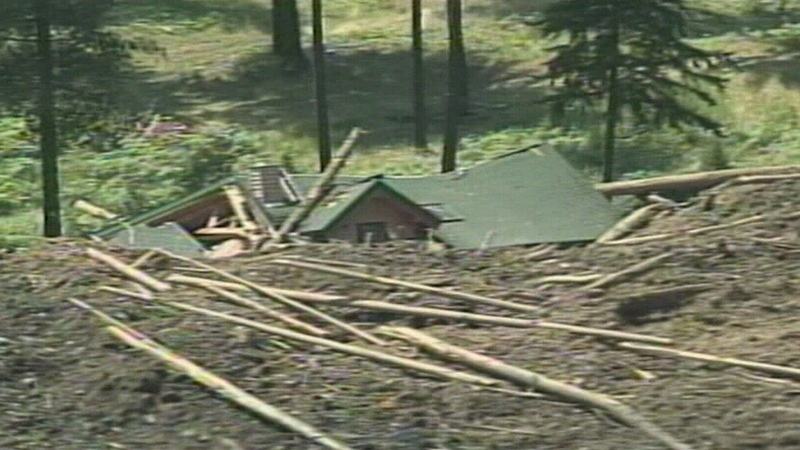 A house is shown after it was buried in a landslide near Johnsons Landing, B.C. on Thursday, July 12, 2012.